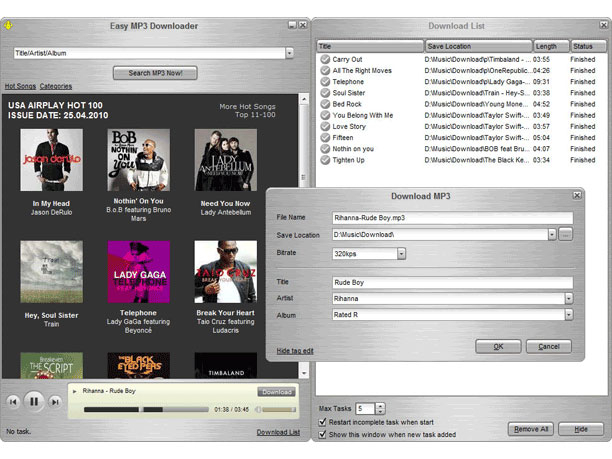 Easy MP3 Downloader 4.6.6.8 - Download Win Apps. Search, online play and download 100 million clean songs easily..
EMD is revolutionary MP3 download software which enables users to search, online play and download 100 million high-quality songs easily and fast. It is 100% safe and totally free from all kinds of viruses and malware. Besides, it also presents the list of weekly USA Airplay Hot 100 and offers professional recommendation for fantastic songs across all genres. All this will definitely lead users to an even higher aural enjoyment.